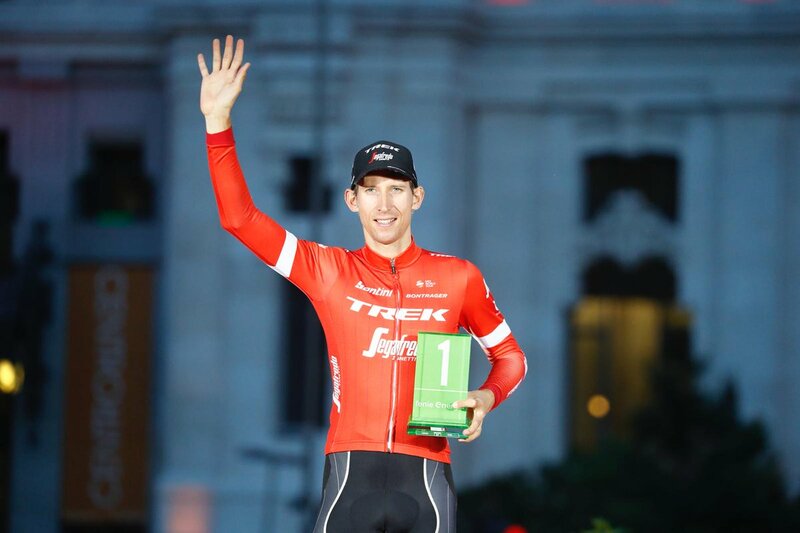 Simon Yates completed overall victory at the 2018 Vuelta a España by safely negotiating the 21st and final stage, which was won by Elia Viviani. 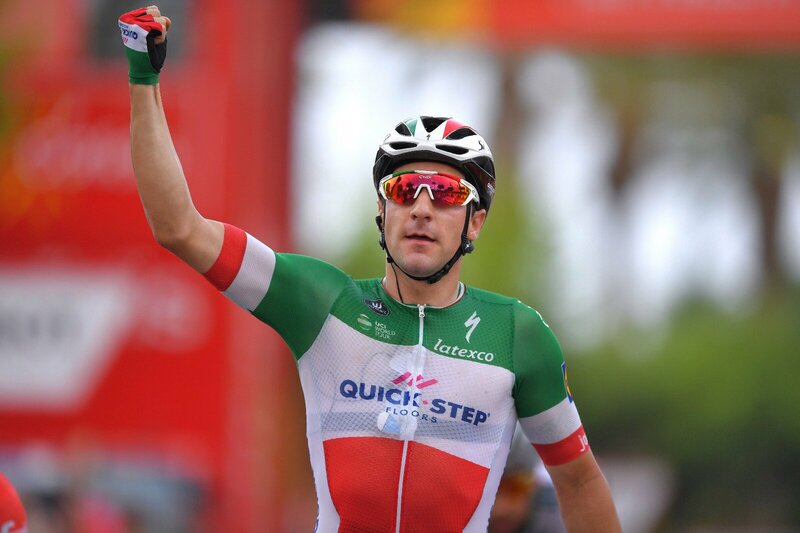 Viviani (Quick-Step Floors) secured his third victory of the race by comfortably beating Peter Sagan (BORA-hansgrohe) into second place and Giacomo Nizzolo (Trek-Segafredo) into third in Madrid. Yates (Mitchelton-SCOTT) followed in the peloton to seal overall victory by 1’46” from runner-up Enric Mas (Quick-Step Floors) and 2’04” from third-placed Miguel Angel Lopez (Astana Pro Team). It is the first Grand Tour victory of the 26-year-old’s career and means British riders have won all three of this year’s Grand Tours, after Chris Froome won May’s Giro d’Italia and Team Sky team-mate Geraint Thomas won July’s Tour de France. A definitive breakaway failed to stay away within the first lap, but the second lap saw Diego Rubio (Burgos-BH), Joey Rosskopf (BMC Racing) and Nikita Stalnov (Astana) get away. They were only able to establish a very narrow gap of 15 seconds over the main bunch and never looked like threatening the stage victory. With two laps to go they were just holding on to an advantage, but they were eventually caught with 7.2km to go as the sprinters’ teams rode hard to keep it all together for a bunch sprint. The pace was then extremely high through the last lap and heading into the final straight, with race favorite Viviani looking out of position with 2km to go further down the field as Quick-Step drove on the front. As the riders his the stretch to the finish it was Danny van Poppel (LottoNL-Jumbo) who launched his sprint first, with Sagan coming up on the right hand side of the road. But Viviani was able to emerge, despite losing his lead-out, on the left hand side of the road an powered clear to take the stage victory. 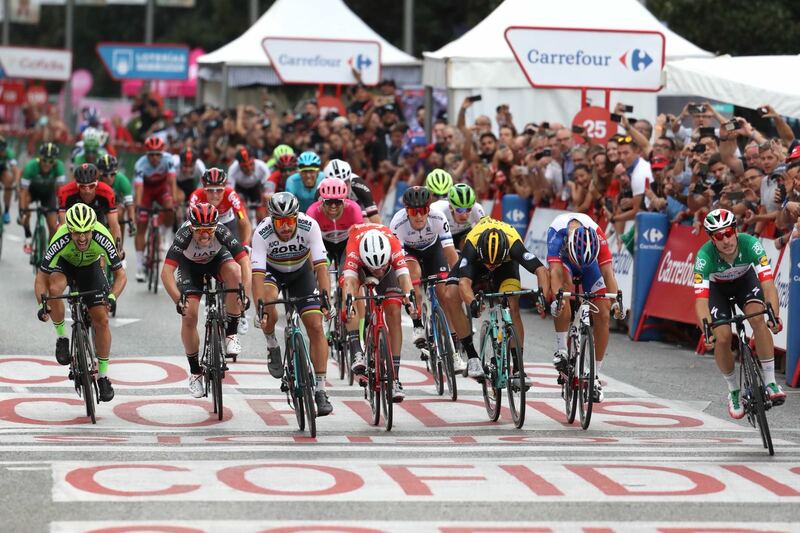 Sagan was able to claim second, while Giacomo Nizzolo (Trek-Segafredo) was able to cross the line in third place. Yates was then able to roll across the line within the main group, sealing the overall victory with no time changes in the top-10 of GC.